Erik Henry Vick is an author who happens to be disabled by an autoimmune disease (also known as his Personal Monster™). He writes to hang on to the few remaining shreds of his sanity. His current favorite genres to write are dark fantasy and horror. He lives in Western New York with his wife, Supergirl; their son; a Rottweiler named after a god of thunder; and two extremely psychotic cats. 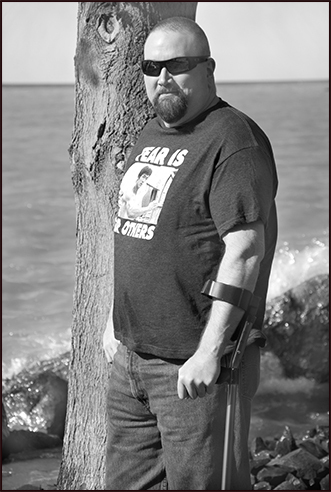 He fights his Personal Monster™ daily with humor, pain medicine, and funny T-shirts. Erik has a B.A. in Psychology, an M.S.C.S., and a Ph.D. in Artificial Intelligence. He has worked as a criminal investigator for a state agency, a college professor, a C.T.O. for an international software company, and a video game developer. Check out our Privacy page here.